Recession Juice brings helpful articles that cover a wide range of topics including, but not limited to breaking news, do it yourself tutorials, electronics, education, health, opinion editorials, politics, and much more – get through any recession! It is very difficult to achieve change when you are working with an “Establishment” – that is a Washington DC that is full of corruption via special interests. He always votes against raising the debt ceiling, but everyone else is voting for it? How does that make sense? Ron Paul stands against everything the “Status quo” stands for and if nothing else would put a “Brake” on how things are run in DC if President. This would give a chance for a turn around in that Ron Paul would not BS the American public about the reality of our situation, which would be an absolute disaster for the current establishment as this would actually educate the American public instead of the real smoke and mirrors from the Federal Govt. You do make a good point about Che Guevara! It doesn’t take that much looking to see inflation is out of control and our dollar is still sinking in value, much of this due to, again, the out of control spending in DC. So weird how the federal government tries to “Fix” all the problems accept the most apparent one with a HUGE RED FLAG hanging out (debt). This is why we need Ron Paul and people who value the constitution in the cabinet, congress, and the house. Ron Paul will end the “war on drugs” – which happens to end up being the most racist and harmful program they have created for the working class and minorities in particular. All you have to do is look in the prisons and jails. Ron Paul wants to allow young workers to opt out of social security – this helps the working class. Everyone else will get to keep their benefits. If I were to opt out for example – there would always be the option to just take this money from the government and invest it in your privately held account so they don’t decide how much of your money you get back! Ron Paul is big on individual responsibility and states rights – the idea that Issues can be handled with local government to figure out what works best for those citizens on most issues. Obama has unfortunately continued the status quo and is spending an enormous amount of money that we don’t have. They haven’t even passed a budget for themselves. Only the American people have helped the US Economy – I give the president or congress NO credit for that. We will soon be required to pay a new healthcare tax on top of this in 2014? Whew – I am going to be a lot broker a lot quicker come that time unless I see a raise sometime soon lol. Spending is like a drug up there in DC – Being blinded by the $BLING$ is easy I guess lol. 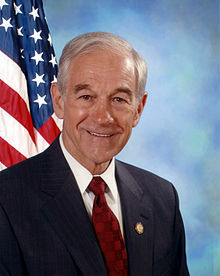 Ron Paul is doing one thing right for sure – waking up a new generation to the realities we face – hopefully some of us outsiders like me and you can make it in and make a real change, that is the hope and goal. Dr. Paul really is a man of integrity and honesty, which I really like. I do plan to run for some local offices, just to make a small difference in my community and to promote the positive change I seek. We will never sell your information and never spam. Keep connected with the latest articles - click to keep updated!